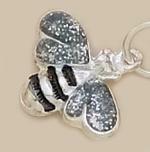 Silver Bracelet with alternating small and long open links. 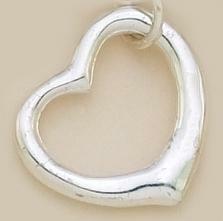 Comes with floating Heart Charm. 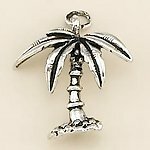 Can be used as a Charm Bracelet by adding other charms. Pearl Ring Charm in Silver or Gold. Silver is temporarily out of stock. 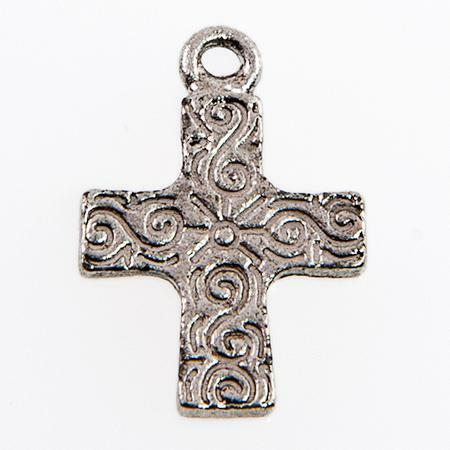 Antique Silver Cross Charm with jump ring. We are sold out of the cross pictured and will be substituting a similar cross.